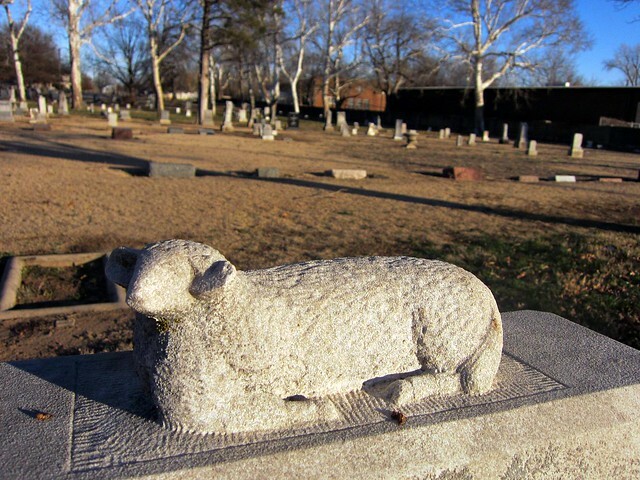 Oklahoma City’s Fairlawn Cemetery | Allez, Allie! 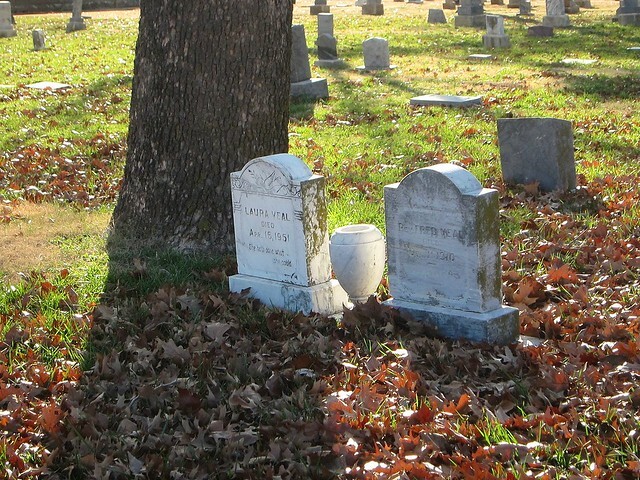 Oklahoma doesn’t have any cemeteries that are quite as elegant and sprawling as New York’s Green-Wood or Woodlawn, but it does contain some that are just as historically and visually interesting. Over my winter holiday in Oklahoma City, my friend Sara and I went exploring in Fairlawn Cemetery, which is the oldest cemetery in Oklahoma City. It was established in 1892, about fifteen years before Oklahoma achieved statehood in 1907, in what was formerly a cornfield. The most striking structure in the cemetery is the huge Fairlawn Mausoleum, built in 1924 to hold 500 crypts. 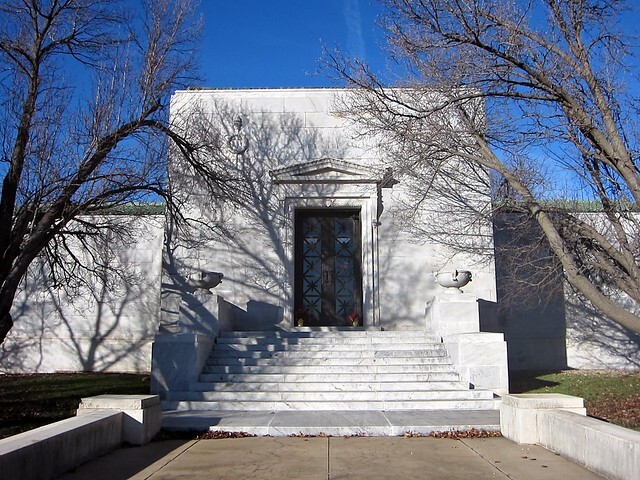 The Classical Revival-style mausoleum cost $70,000 to build, no small price for any time period, and was designed by Chicago architect Cecil E. Bryan. The complex included a $10,000 crematorium, which at the time was the only crematorium between St. Louis and San Francisco. As you might guess, Oklahoma was doing well at the time with the oil boom. 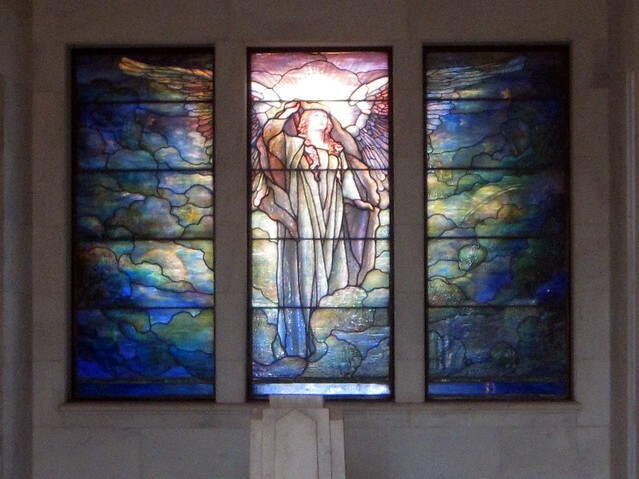 Inside the mausoleum is a stained glass triptych of an Angel, created by the Tiffany Studios of the great stained glass artist Louis Comfort Tiffany, even bearing his signature. I would guess it’s worth more than the cost of the original marble mausoleum. Another landmark in Fairlawn is this military memorial created in 1919, following the end of World War I. It is still flanked by the two bronze cannons that were installed for its dedication. 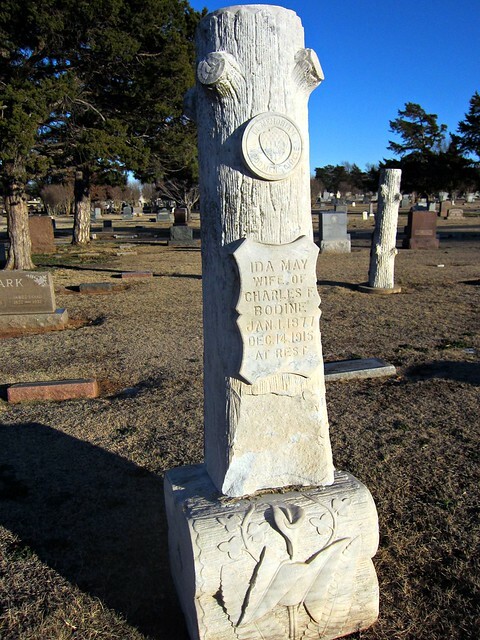 Although it doesn’t look big from the road, Fairlawn has around 40,000 graves, many over 100 years old and memorializing the iconic families and people of Oklahoma City. They are in various condition levels, but even a quick exploration will take you on some cemetery symbolism and style time travel. Okies are apparently secret society people, and once you start to notice the symbols in Fairlawn you see them everyone. Especially prolific are the Masons, many of whom were probably affiliated with the Scottish Rite Temple in Guthrie. The above star with the letters F.A.T.A.L. 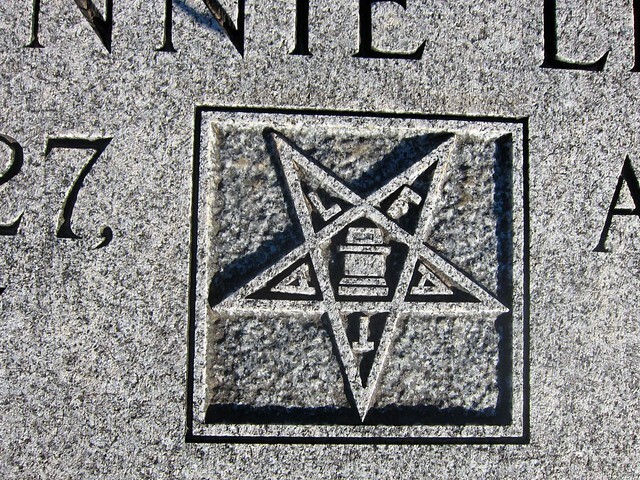 is not some morbid statement, but a symbol of the Order of the Eastern Star, a Masonic branch for both men and women. The Woodmen of the World are also well-represented and easy to spot. 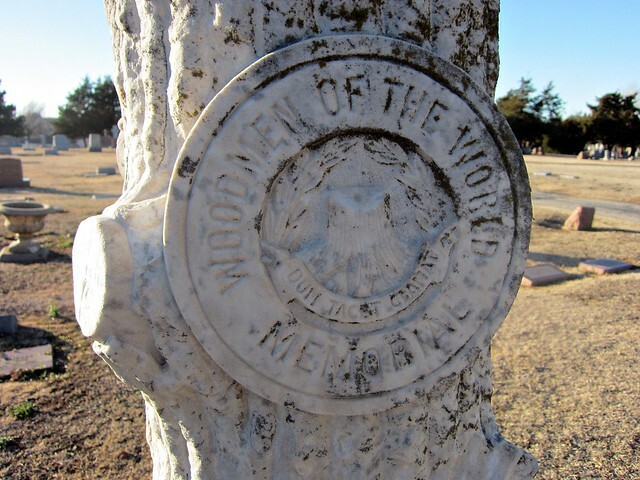 Part of being a member of the society was that you got a tree trunk-shaped tombstone. The cut off branches are a symbol of the cutting of the tree of life. 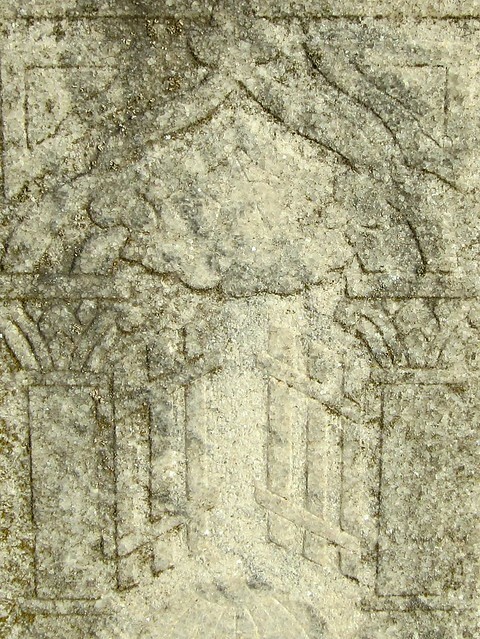 Military graves have simple crosses over titles, and many individual tombstones have some interesting carvings. Above the gates of heaven have worn down, but you can still make out a star in the clouds. Family mausoleums line the road that winds through the cemetery, and I peaked into one to see this Egyptian-style stained glass. I feel like this dove might have been carved by the same artist who created the sheep shown at the top of this post. Both have an oddly whimsical style, innocent maybe. Which is fitting for these graves of people who died quite young. The West was not an easy place to live back in those days. 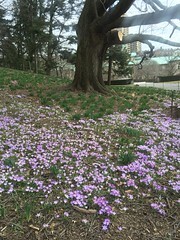 The oldest section of the cemetery is in a grove of trees, which I imagine is beautiful in spring. However, it wasn’t quite peaceful while we were there. A dog was sprinting around the cemetery road and howling its head off, paying us no mind. A little unsettling. 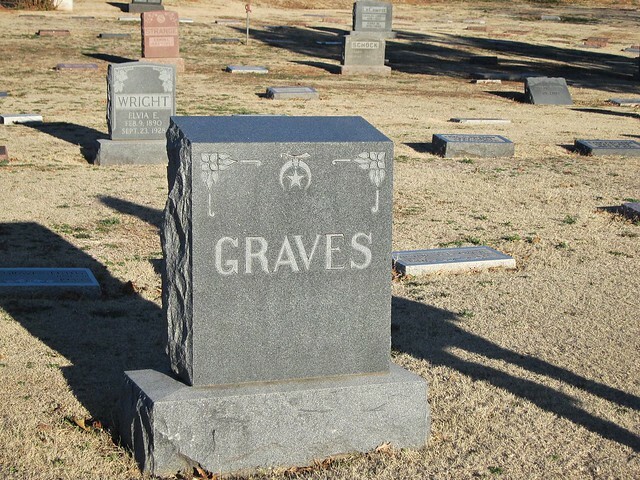 Hell hounds or no, I definitely recommend taking a stroll through Fairlawn on a sunny day and keeping your eye out for the names and images on graves for a glimpse into Oklahoma’s early history to today. I’m sure we will be back. 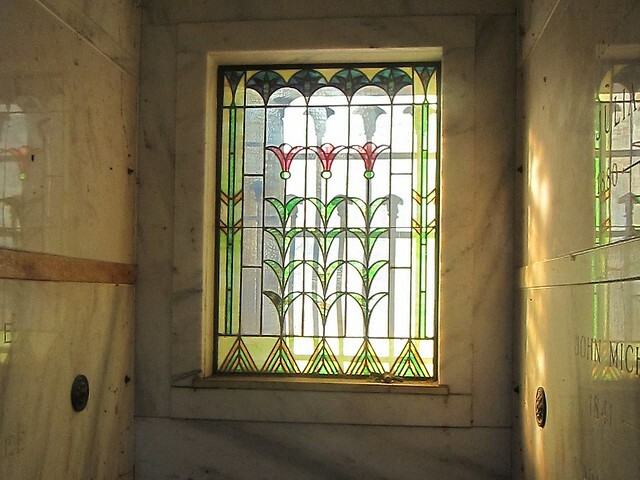 I hear that the mausoleum is actually open on Memorial Day, and I would love to see that Tiffany window up close. The community mausoleum was built by my husband’s grandfather. I would like permission to use the pictures on our website devoted to his work. Hi Cheryl. You are definitely welcome to use the photos! Thanks for this interesting post. 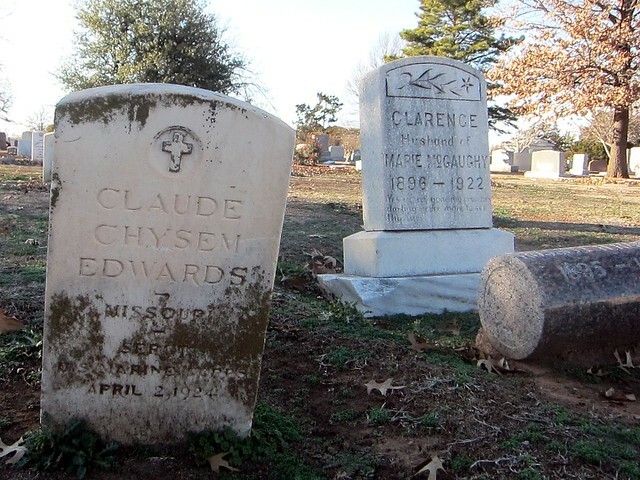 I live in OKC and love historical cemeteries. I will definitely go walk through this one, after having read this and seen the good photos. Thanks Janice! You should definitely walk around sometime and peak into the large mausoleum to see the stained glass. The old cemetery in Guthrie is also great for exploring. I have become interested in William Christopher Hughes, born 24 Oct 1869, died 22 March 1938. Hughes County, Okla was named for him. He is supposed to be buried in Fairlawn Cemetery. Do you have that information? Sorry Alice, I don’t have the particulars on any of the burial locations, but I’m sure if you reached out to the cemetery they could help. Thank you so much for this post!! 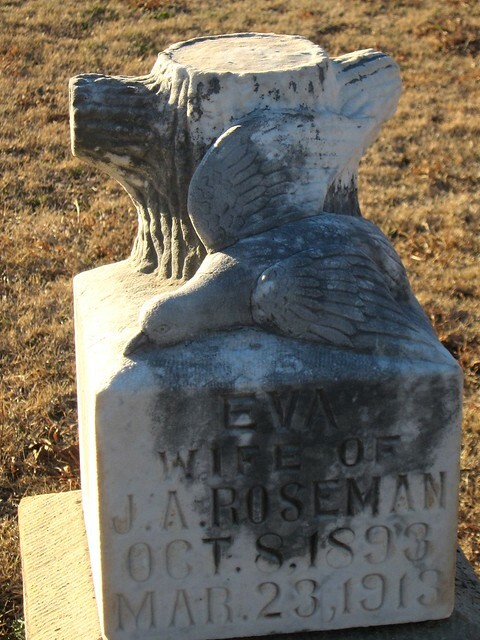 I found it in a Google search for “old Oklahoma City cemetery”, as we will be visiting OKC tomorrow. @dubaigal: Symbol of the Shriners (The Imperial Council of the Ancient Arabic Order of the Nobles of the Mystic Shrine). The group was founded in 1872, and can be joined once the member has become a Master Mason. Found on Graveaddiction.com. Your site opened my eyes to this gem in OKC. 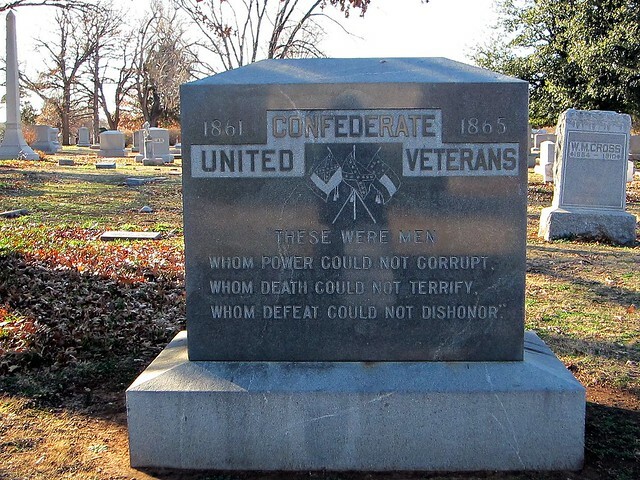 This cemetery holds the history of our city and state. I have suggested that News9 create some news segments about some of the famous people buried at Fairlawn. One of these is Ed O’Kelley the man who shot and killed Bob Ford. Bob Ford is the infamous person who murdered Jesse James. Thanks for your efforts. FYI.. DO NOT ATTEMPT ANY NIGHT TIME PHOTOS. even while awaiting the cemetery security .we were immediately harassed by a very belligerent caretaker, held till he called the police (which didn’t even come) blocked by his vehicle and threatened with a knife . i am giving him the benefit he did not give us, maybe he had a very bad experience it has become a somewhat bad part of town . I’m going to have to check this cemetery out at some point. I have gone through the cemetery book in the past and it was not the first cemetery. There were at least two others, plus private burial grounds scattered around. There is record of the people buried in those cemeteries/graveyards and the years the were removed to Fairlawn Cemetery. Why is Fairlawn not being taken care of the way it should be? Seems like it’s becoming run down. Roads are bad, trees need pruned or taken out, etc. We have our plot there and are very disappointed the way the cemetery is going down just since we purchased our plot and had our headstone set. Thanks for listening. Just frustrated!!! I was just in this cemetery on Monday with my parents. We were looking for my great-grandmother Aurelia Boudreau Cooley’s grave, as well as her son, Jack Cooley. We found them in the NW corner (not together, but not too far apart). Jack was killed by a sniper at age 18 in the Philippines (WWII). He was a musician, but was apparently carrying a package to someone when he was shot. There were a lot of really interesting looking stones there and we want to go back and explore more of it. However, I agree with William Craig’s comment that it does look a bit rundown. There were several headstones that were almost completely covered by grass and debris. There was a big storm that went through the area about two weeks ago and several of the old trees were also uprooted and are being cut up for disposal, but there were also several standing headstones that were toppled over and I’m not sure those were done by the storms. They may have been vandals. I’m not sure. It’s sad because it’s a rather nice cemetery in an older part of OKC and there is a beautiful church next to it. Hopefully it will get looked after by some of the people there. 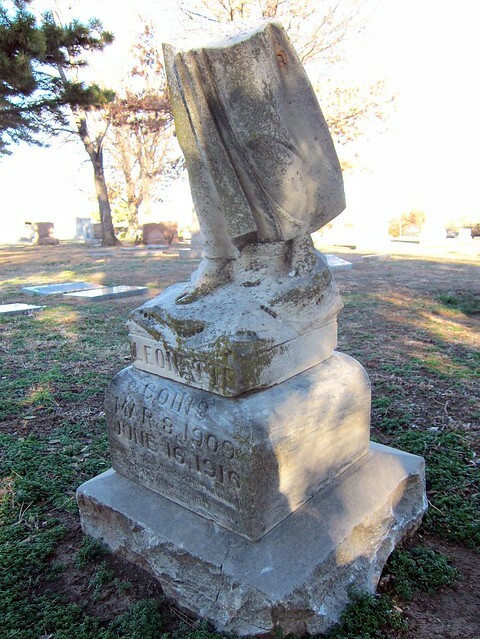 Although there are many Heroes and prominent Oklahoma Leaders buried in Fairlawn, vandals have attacked the cemetery in recent years. 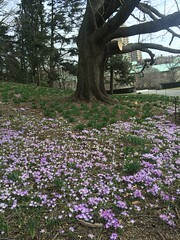 The cemetery is only open M-F from 8:00 am to 4:30 pm as a result of these criminal activities – likely connected with combat zone that has developed in the vacant and dilapidated homes across the street to the west and north. Hopefully, the ongoing revitalization along NW 23, Classen Blvd., in the Paseo, with Harding School of Arts, and at 1st Presbyterian will help keep Fairlawn safe. Fairlawn’s Perpetual Care Association might be suffering because it is aging out… Two of the Heroes laid to rest in Fairlawn are WWII Medal of Honor Winner, PFC Manuel Perez, Jr., CO A, 511th Parachute Infantry Regt., 11th Airborne Division who was posthumously awarded the MOH for his incredible actions in the retaking of Ft. Wm. McKinley, Luzon, Philippines during the Liberation of the Philippines in February, 1945. A southside park was named for Perez, but vandals stole the monument. 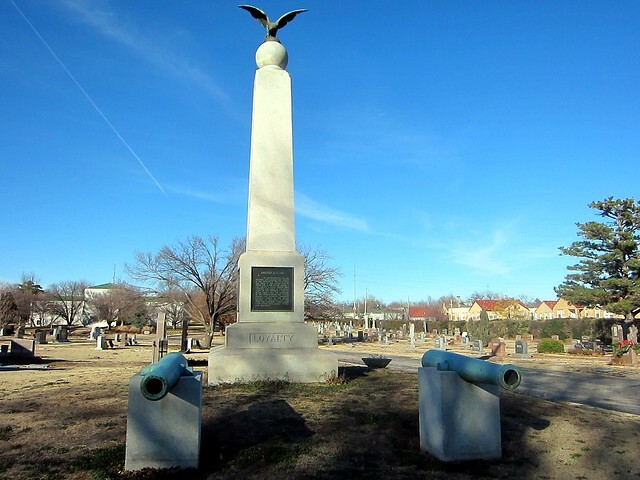 Community leaders began raising funds in 2012 to rennovate the park, however, the City of Oklahoma City decided to move the memorial to a cul-de-sac in the smaller Wiley Post Park off S. Robinson, near Capitol Hill, along the Oklahoma River. A dedication of the monument to MOH Hero Perez will hopefully occur by the summer of 2018. Our second hero, PFC Karl D. Trimble was returned for re-burial at Fairlawn in 1922 almost three after his death in France. A member of Co. K, 3rd BN, 357 Regt., 90th INF Division. He was severely wounded on October 23, 1918, in the battle for Grand Carre Farm just outside Bois de Batheville in the Meuse Argonne Campaign of World War I. He died of his wounds in a Field Hospital on October 25, 1918. He had been a resident of “Putnam CIty” or what would later be renamed Warr Acres. Trimble had also served in the regular US Army from 1904-1907. His heroism was mentioned in his reports to the War Dept. and Pres. Wilson by the Commander of the American Expeditionary Forces, General of the Armies, General John J. Pershing. In 1941, American Legion Post 12, Bethany-Warr Acres, honored Trimble and another Bethany-Putnam City World War I soldier killed in the War when the Post was named The Waggoner-Trimble Post 12 of the American Legion, Bethany-Warr Acres, Department of Oklahoma. Great overview and historical information. Thanks for keeping our rich heritage alive.